Officials hope an earlier start will give enough time to finish the Masters on Sunday before potential weather hits in the afternoon. 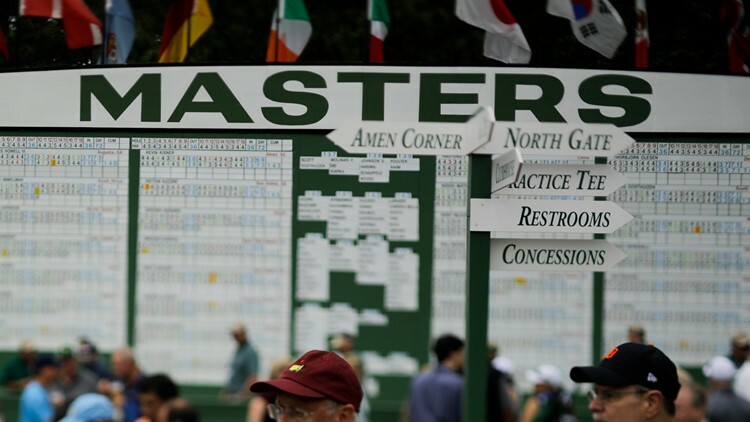 The start time for the final-round of The Masters has been bumped up, due to the possibility of severe weather Sunday afternoon. Tournament officials announced Saturday at Augusta National Golf Club that players on Sunday will be grouped in threesomes with tee times scheduled to begin at 7:30 a.m. EDT off the Nos. 1 and 10 tees. The leaders will tee off at 9:20 a.m EDT. Gates are scheduled to open at 7:15 a.m EDT. CBS will broadcast the final round, starting at 9 a.m. Sunday.